An industry managed supply chain oversight program that reduces risk to patient safety, assures quality products and compliance with requirements as they apply to critical processes used in the production of medical devices. For more information please contact us or sign up to receive regular Program news and updates. 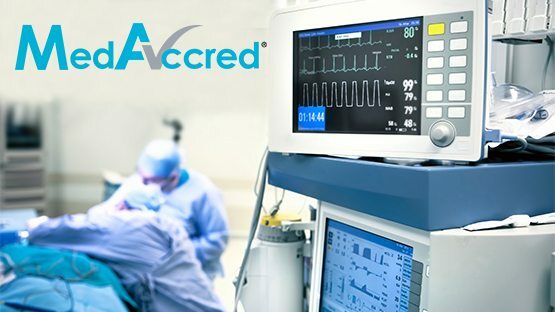 MedAccred is an industry managed, consensus-driven approach to ensuring critical manufacturing process quality throughout the medical device supply chain. Medical device industry-accepted and consistent technical requirements leading to process discipline, greater operational efficiency and continuous improvement resulting in higher quality and lower overall cost. Audits are conducted on behalf of its subscribing OEM members using collaboratively created audit criteria. The accreditation is granted and accepted by the program’s subscribing OEM members. The audit criteria incorporates industry accepted performance standards and manufacturer specifications that meet the requirements of the regulator. Process-focused Product Audits are conducted by industry approved and trained SME auditors, who have extensive experience and knowledge of their process. An increasing number of medical device companies are actively participating in the MedAccred program. The below are just a few of the companies actively involved. Contact us for more information. To promote their status as the first MedAccred Cable & Wire Harnesses accredited supplier in the world, Global Technologies produced a video which highlights their achievement. To view the video, please follow this link. To keep up to date with MedAccred activities, and receive news and information direct to your inbox, please sign up to our mailing list.